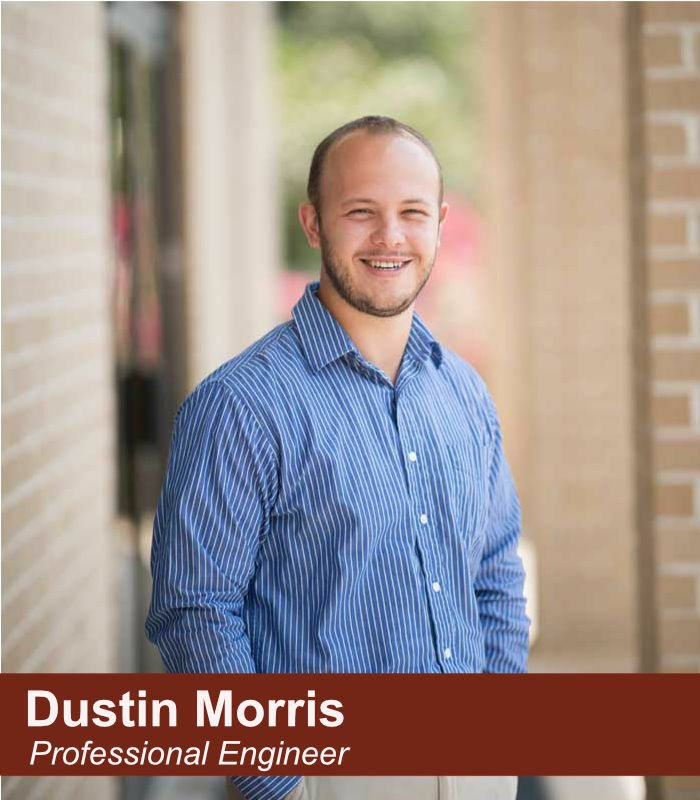 Dustin Morris started working at B&F as an intern in the summer of 2013. Following his completion of his BS in Physics in 2010 and the Civil Engineering program at the University of Arkansas in 2013, Dustin joined B&F as a Staff Engineer with our structural team. He is a Licensed Professional Engineer. As a native of nearby Glenwood, Arkansas, Dustin enjoys working in the area he and his family have called home. Dustin likes to spend his free time with his two children and wife as well as other family. They enjoy traveling and spending time outdoors, especially when it involves white sandy beaches or cold, clear rivers.